Wondershare Video Converter Ultimate is a blazing-fast drag-and-drop video converter, DVD burner and converter, which lets you convert home DVDs to and from virtually any video format, with 30X faster conversion speed. With an ultra-intuitive user experience, anyone can easily convert video to 158 formats. 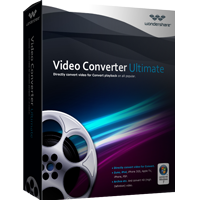 It is a powerful video converter that lets you effortlessly convert your video and audio files to and from virtually any regular video/audio. 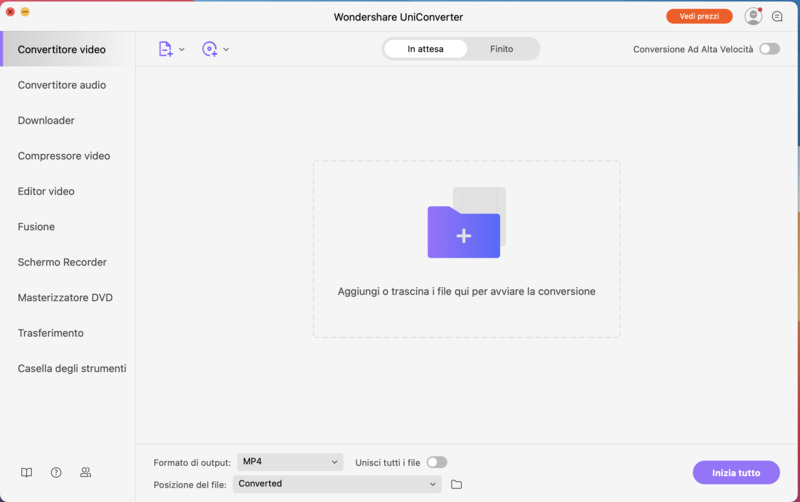 With Wondershare Video Converter Ultimate, trimming and clipping the perfect video is just easy. More editing power under the hood lets you edit and personalize video using classic features including cut, merge, crop, trim(multi-trim function supported), rotate, add watermark, adjust duration, etc. HD Video (AVCHD, MTS, M2TS, TS, M2T, 720P, 1080P and etc. ), Windows Media Video (WMV, ASF), AVI, MP4, QuickTime (MOV, M4V, QT), MPG, MPEG-1, 2, 4, H.263, H.264, TOD, MOD, DVD, VOB, ISO, IFO, BUP, SVCD, DV, DV-AVI, DVR-MS, DAT, DivX, Xvid, Real Video (RM, RMVB), 3GP, 3G2, MKV, FLV, F4V, AMV, DVR-MS, AMR, TRP and etc. Support iPad, iPad mini, iPhone, Nexus7, 10, Windows tablets and etc. Convert 30X faster than other converters with ZERO Quality LOSS! Help you to set the output formats for each file or convert all files to one format at once. Convert and transcode a variety of videos or audios to the required format of your playback or editing preference. This program supports Apple Intermediate Codec, ProRes and DNxHD – ensuring maximum editing quality and efficiency when working with iMovie, Final Cut Pro, Adobe Premiere or Avid Media Composer. Choose your own unique DVD template and easily burn any video formats onto a DVD for the bigger screen’s enjoyment. Intelligently and automatically convert videos for playback on portable devices such as Apple (inc. of iPad, iPad mini, iPhone), Android (inc. of Nexus 4, 7 and 10) and even game consoles. Easily edit or merge video clips together with the tools provided. Crop, trim, rotate and adjust the level of brightness, contrast or saturation to your liking. You can also create your own ringtones by extracting the audio.